Everyone had a life purpose, discover yours! 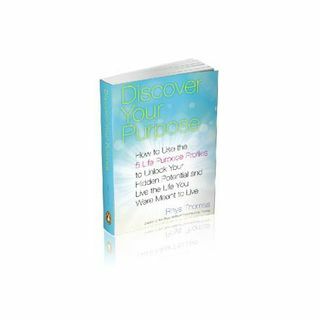 Featured book: "Discover Your Purpose, How To Use The 5 Life Purpose Profiles To Unlock Your Hidden Potential And Live The Life You Were Meant To Live." In this life-changing book, energy medicine expert Rhys Thomas shows you how to discover your life purpose and align your decisions with your deepest self, so that your life is fulfilling, productive, and full of joy! In this ... See More inspiring book, Thomas guides you in using the Rhys Method ® Life Purpose Profile System to identify your purpose and reconnect with your passions, so you can find true happiness and fulfillment. This system of selfdiscovery encompasses five distinct soul-based profiles. Which one are you? Bio: Rhys Thomas is a visionary author, speaker, and teacher in the field of energy medicine. Creator of the Rhys Method ® Life Purpose System and founder of the Rhys Thomas Institute in the Boston area, he employs energy medicine techniques to help people achieve personal and professional transformation. He is a certified Energy Medicine Practitioner, Reiki Master, and 2nd Degree Black Belt. Before entering the healing arts, he had a successful twenty-seven-year career as a professional tennis coach and speaker.